It was a very rare mixed, low volatility week for the British pound despite a fresh developments to the Brexit saga, including an extension granted by the EU. 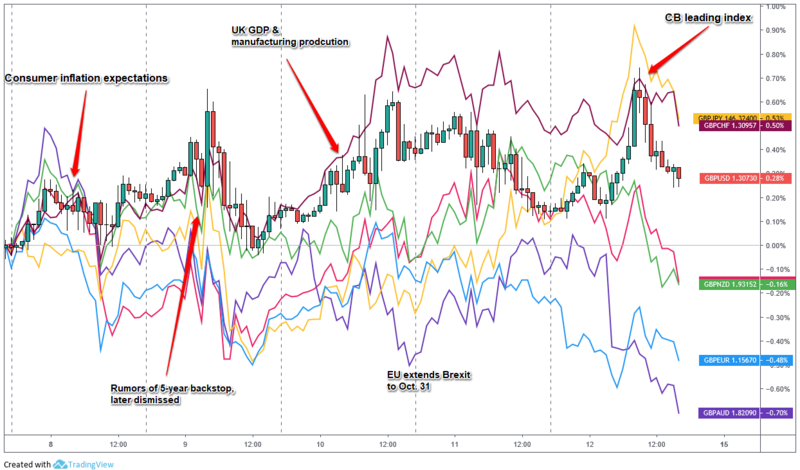 Germany dismisses reports Merkel would time-limit Brexit backstop – the initial rumor then denial sparked an intraday roller coaster ride for Sterling pairs. EU Extends U.K.’s Brexit Deadline Until Oct. 31 – Broad short-term Sterling rally after the extension news.